Hi! My name is Rachel and I love to create. I started myraecreations (myraecreations.etsy.com) in 2015 without a lot of focus, I simply loved creating things and wanted to share my creations with people. 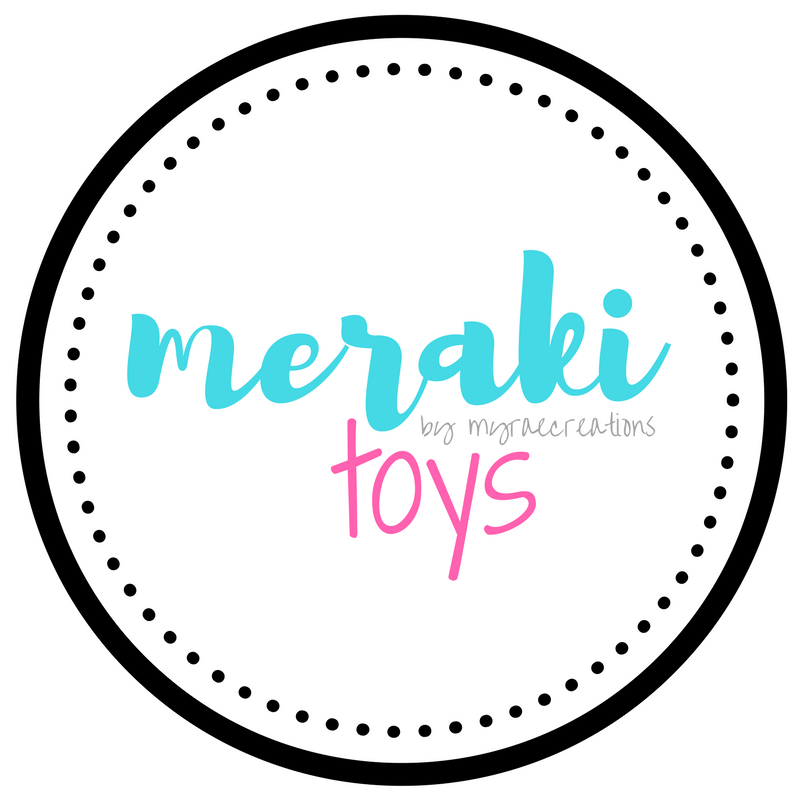 Since then I have found my passion in creating learning toys and activities for children, I opened my second Etsy shop, MerakiToys.etsy.com in 2016 with a focus on learning and travel toys! All of my creations are carefully designed with your child in mind. They are all soft, fabric/felt toys, perfect for at home, when you’re out around town or travelling. Each listing explains how the toy can contribute to your child’s development and some fun ideas on how to maximize the toys potential. My activities for children are meant to encourage imagination, quiet play and develop their motor skills and independence. I am a strong believer in limiting screen time and empowering children to entertain themselves and be creative. My background includes ABA therapy and respite with preschool aged children living with different challenges such as Autism Spectrum Disorder and I am a qualified Montessori Preschool Teacher. I also have an undergraduate degree is Psychology. From my experience in these fields, as well as being a mother of 2 young boys, I have seen first hand the benefits of toys and activities like the ones I make and sell in my shop. I hope you find something that you or a child you know can enjoy and learn from! In our busy world, children are often handed a phone or tablet to entertain themselves with, although this is fine in moderation, my shop and blog are here to help you come up with creative ideas in empowering your child to be responsible for entertaining themselves, without technology. Studies show that quiet time can raise your child’s confidence, help them perform better in a classroom setting, encourage independence, develop problem solving skills and much, much more!! Let me help you empower your child! Looking forward to your blog. I loved working with your Mum! With all my friends having children recently I’ve forwarded on your blog address. Some great ideas already, loving the pipe cleaners and crate idea.